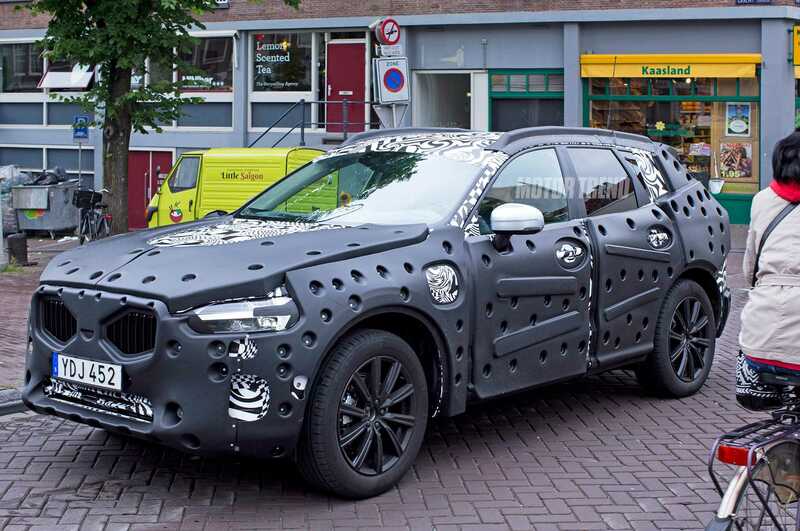 Spy shots of the next Volvo XC60 has emerged and the car was spotted testing in the Amsterdam region in Netherlands. It was obviously camouflaged as expected as the official launch is set to take place next year. Volvo is refreshing the lineup by building it on a brand new platform. The new Volvo XC60 is being built on the scalable product architecture platform. The same is already being used for the three row XC90 2016 edition, the S90 2017 edition and the V90 2017 wagon. Spy photographers have managed to capture the Volvo XC60 2017 edition in action. From the looks of it, the car will be very similar to outgoing model. However, it is also expected to feature increased space so that passengers have enough legroom without feeling congested. The manufacturers have enveloped the car with heavy camouflage making it impossible to guess the front fascia and the design used in the wagon. From the outline, we can confirm that the vehicle might be equipped with the Thor Hammer inspired LED headlights that seamlessly merges into the rest of the car. It’s all more of an assumption at the moment than official information. Right before the new generation cars hit dealership stores, Volvo has announced significant upgrades for the XC60 2017 editions. The model is now powered by a 2.0-liter turbo four engine. It also has a Volvo On-Call app support. With the help of the application, users will be able to activate remote locking features and also control the heating capability of the car. Almost every last automobile manufacturer is keen on making their car autonomous and making it easier for their buyers to control all functionalities remotely. With the upgrade, the XC60 will deliver much better performance made possible by the 2.0-liter four-cylinder engine. There are multiple variants of the powertrain being offered including a petrol engine, diesel version and plug-in hybrid models. All engines will be mated to an eight speed automatic transmission system. Front wheel drive is what the new Volvo XC60 2017 edition is going to go for but buyers will have the option to upgrade their car to an all-wheel drive if they choose to. Upgrades are evident on the interiors including a new Sensus touchscreen interface and infotainment system. All safety features which are part of Volvo wagons can also be found in the car which enhances the driving experience and comfort level of the passengers.